Patriotic Playroom Inspiration with BHG Walmart PLUS a $100 Giveaway!!! We are still working hard over here! Our new home is months away from being completed and we are so excited! We are about halfway done but things are moving along quickly. I can’t wait to tell you guys more about the process and what’s been going on so stay tuned. I thought I would have time to sort of fix up our rental but let me tell you, I have had NOOOO time to decorate! I’ve been completely consumed with house stuff so just about everything has taken a back seat! But today I’m here sharing a little patriotic inspired playroom set up using the BHG line at Walmart! As you know every other month I’m able to bring you some very affordable and high styled options from their line. Remember a few months ago I got to visit the Walmart headquarters and chat with the buyers and other influencers in the company. With that sneak peak I was able to view some of the best pieces from the line and make a mental wish list of things I wanted to include in the new house. You can browse through their catalog here! So although I don’t have room for a playroom in my rental I set up a mock space downstairs so you guys could get a feel of what I’m thinking as far as function, flow and color! As you know I purchase my main pieces in neutral. That’s just the way I roll. Throughout the years I just found it easier to add interest in a room in other ways like, texture and color! I think most people can tackle this concept in their own spaces. 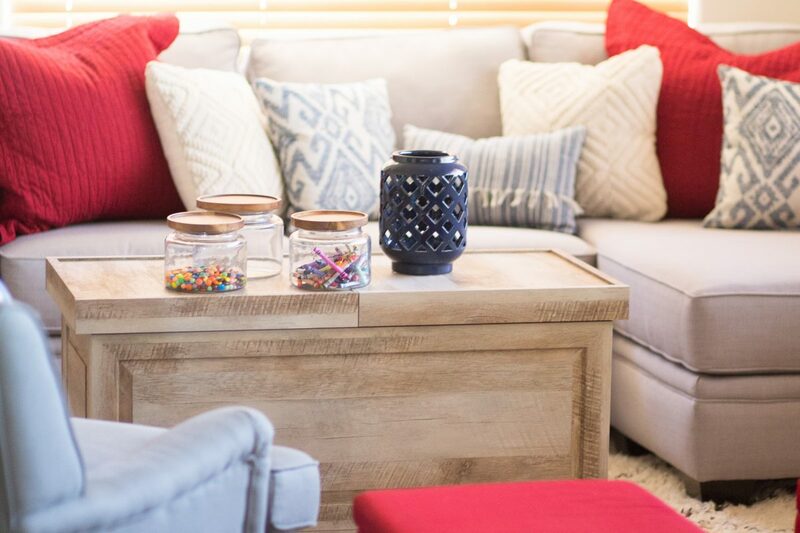 Pick a color or two and add it to the neutral furniture in your space for a similar look! The playroom sofa is gray just like this one, but once again, it doesn’t fit in the house so I’m using this one in place of it. 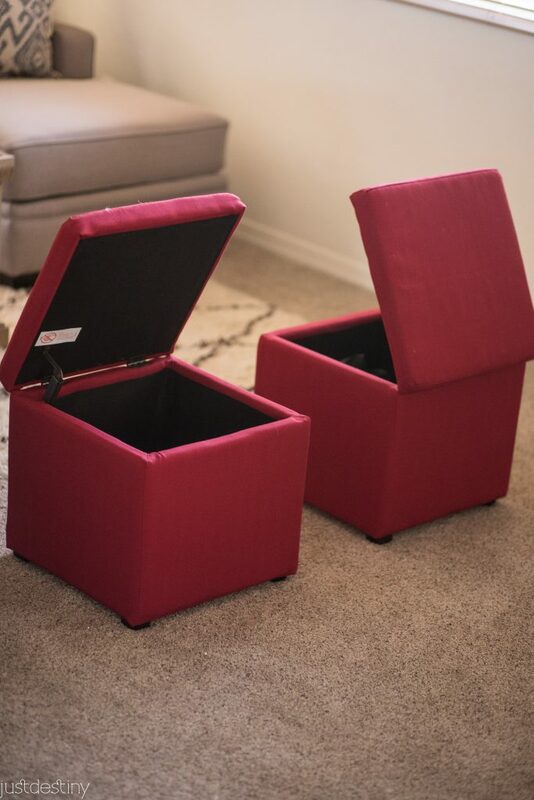 To add some instant color I purchased these two ottomans from Walmart that serves as extra seating for the littles and STORAGE! Two in one! 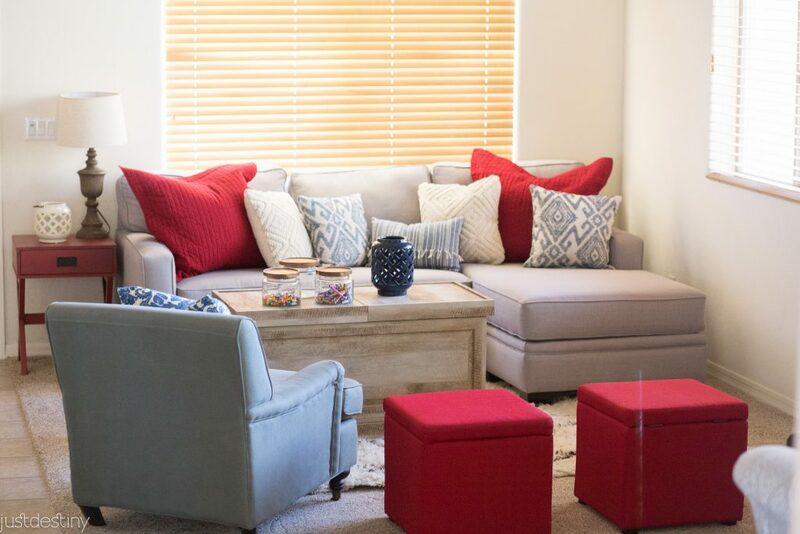 I feel like I haven’t used red in my home in such a long time but this seems like the perfect place to reintroduce the color back in the mix. I think in the early 2000’s we were allllllll in love with some red/burgundy! ha! I appreciate that it has a soft close so that little fingers don’t get stuck or hurt. 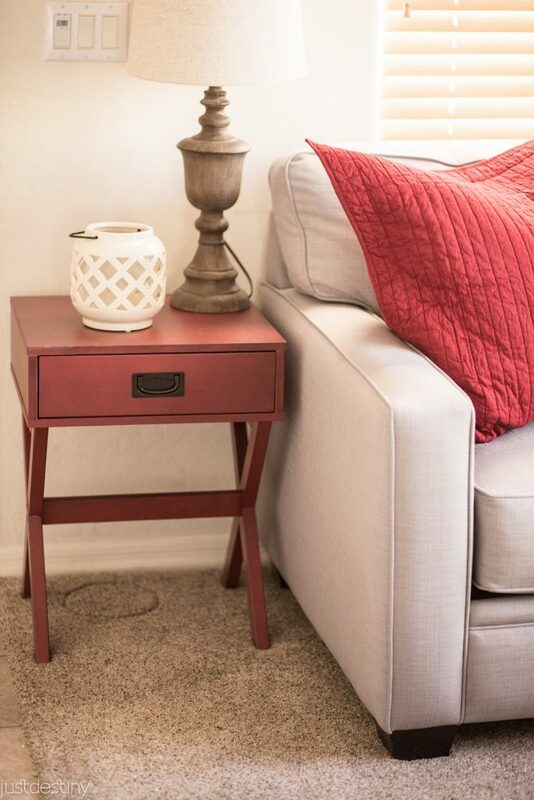 I also purchased this small X end table for more of that RED color . The pillows all added extra color as well as texture. BHG now has euro shams in some great colors, so I purchased them in a nice bright red. For more function and storage I purchased the Crossmill coffee table. It opens in the middle so that my kids can keep their toys and mess tucked away when it’s clean up time! haha! 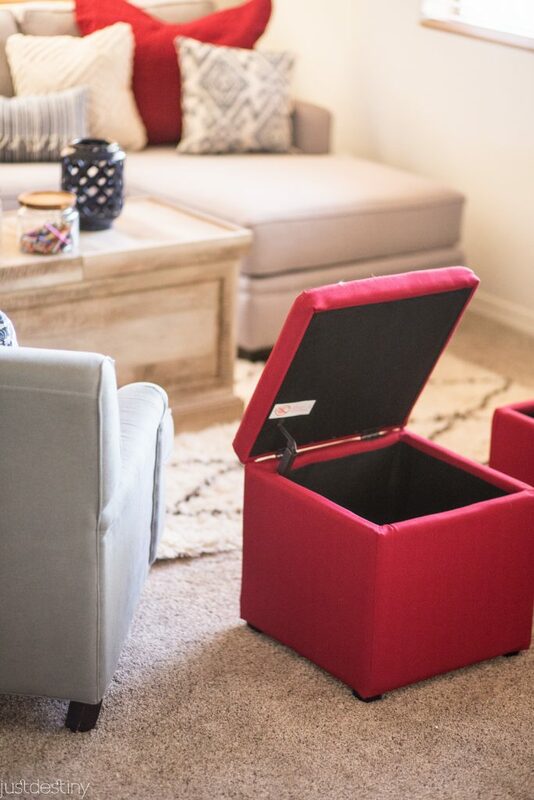 I can also store some extra pillows and blankets for movie nights or just lounging around. 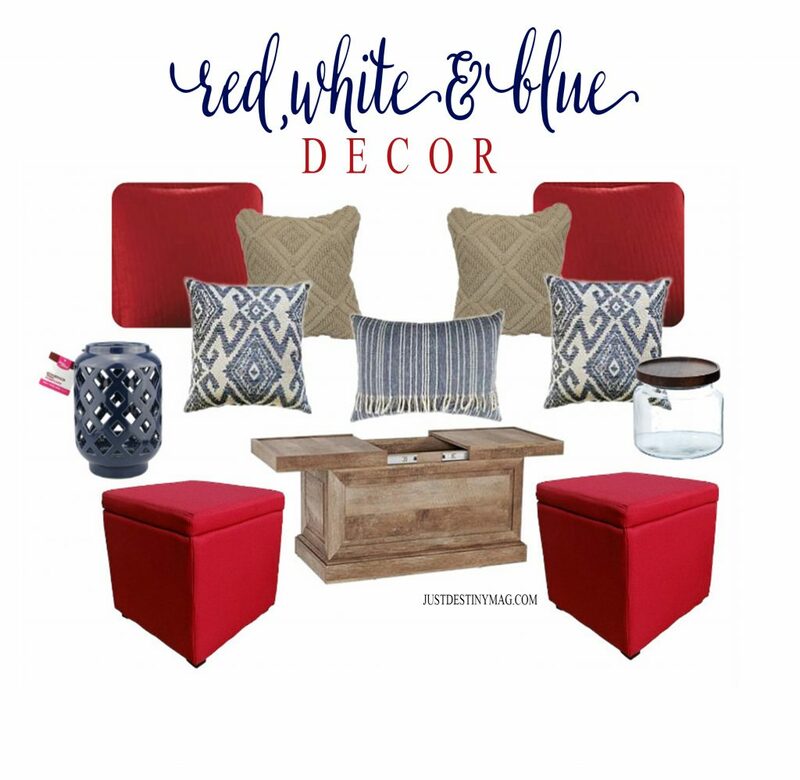 Are you ready to decorate you own patriotic inspired space with BHG and Walmart? Today I’m giving away a $100 gift card for one lucky reader! YOU! So just follow the directions below and I will announce the winner next week! Check out some other favorite items from this post! I’m a proud to introduce you to awesome companies who make decorating your home affordable and easy! You can find BHG products in your local Walmart and Walmart.com. 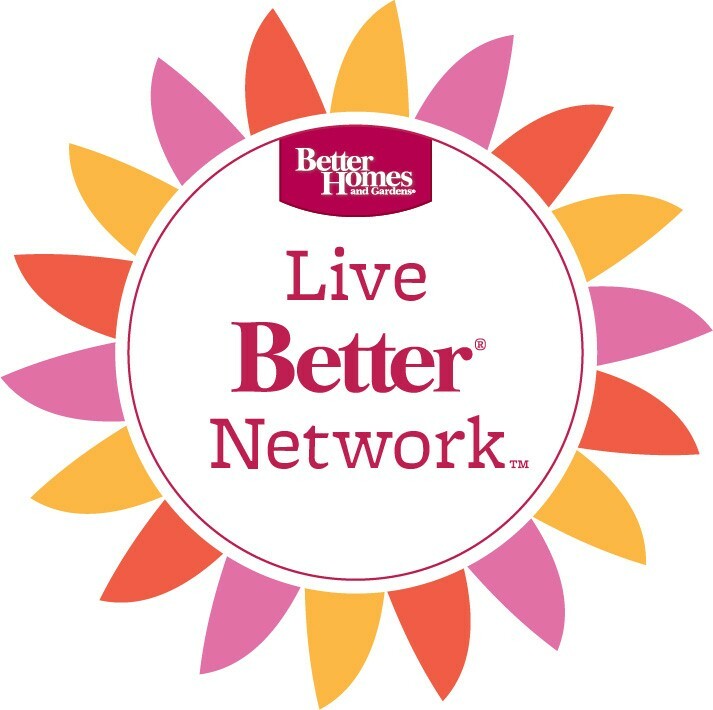 Follow BHG on Twitter,Facebook,Instagram and of course Pinterest. I love the Better Homes and Gardens Baroque Oval Wall Mirror. I like Better Homes and Gardens 6-Drawer Wire Cart. I love the teal swirl plates and bowls! I like the faux fur decorative pillows. They have a lot of cute decor items. I really love the rustic wine cabinet! I like The Better Homes and Gardens Lamps, Set of 3 and The Better Homes and Gardens Blackout Grommet Curtain Panel. I love the Medallion Slipper Chair. I like the Marissa Curtain Panels. I love the Crossmill coffee table! So pretty and functional. I love all the colorful pillows. I like the rugs! But all of the things offered are nice! Thank you for the giveaway! I love the pillows and lamps. I love the pillows! You can never have too many pillow options!! I like the BHG Iron Fleur area rug. I love to have a set of pillows like the Better Homes and Gardens LOVE Foil Pillow – they are so cute and fun! 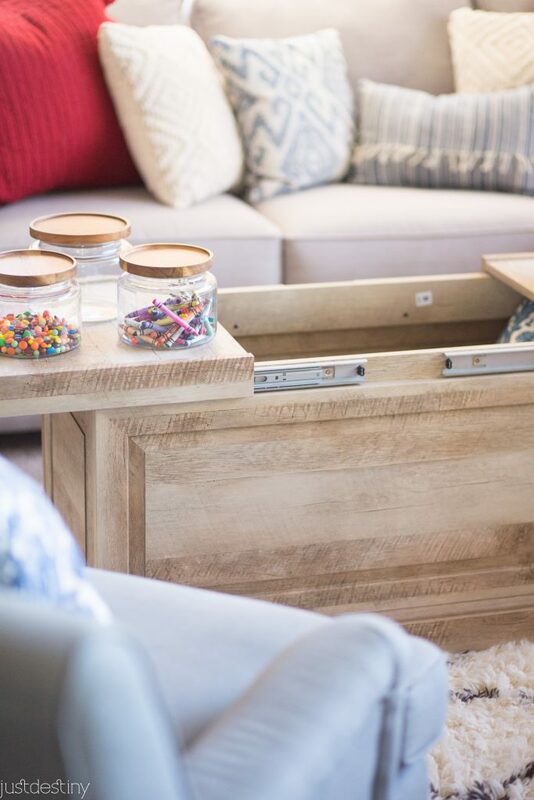 That coffee table is my favorite! Seriously, if it wasn’t for you, I would have no idea that WalMart had some nice home decor. I like Better Homes and Gardens Boule Bronze Curtain Rod, 1″ rod diameter. 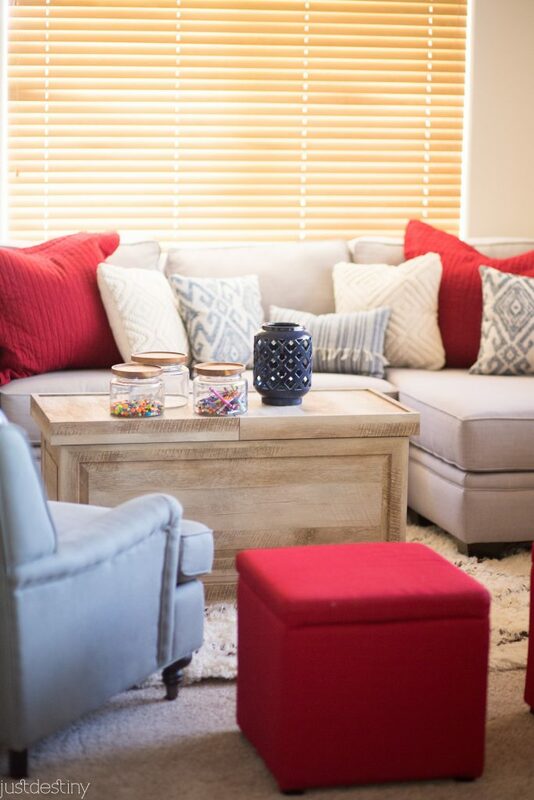 I love the pillows and the red side table. I think that would be great in my living room. I have followed your blog (& YouTube Videos!) And I must tell you again. I LOVE your STYLE!! OMG you create dreamy decor and beautiful flare in any room. 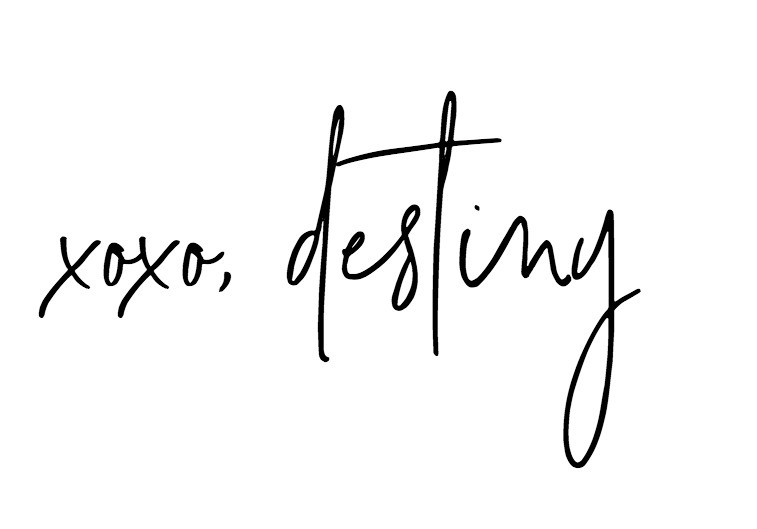 I like the BHG brand and would love the opportunity to create my very own touch of Destiny!! I have followed your blog (& YouTube Videos!) And I must tell you again. I LOVE your STYLE!! OMG you create dreamy decor and beautiful flare in any room. I like the BHG brand and would love the opportunity to create my very own touch of Destiny!!.. I love the Better Homes and Gardens bright dotted circles multi area rug. I like the Better Homes and Gardens Pintuck Bedding Comforter Mini Set. So pretty! I love the Better Homes and Gardens Grayson Linen Headboard with Nailheads! That coffee table is so cool! Great style plus functional. I really like the Better Homes and Gardens Kashmir 5-piece bedding comforter set for my daughters room! 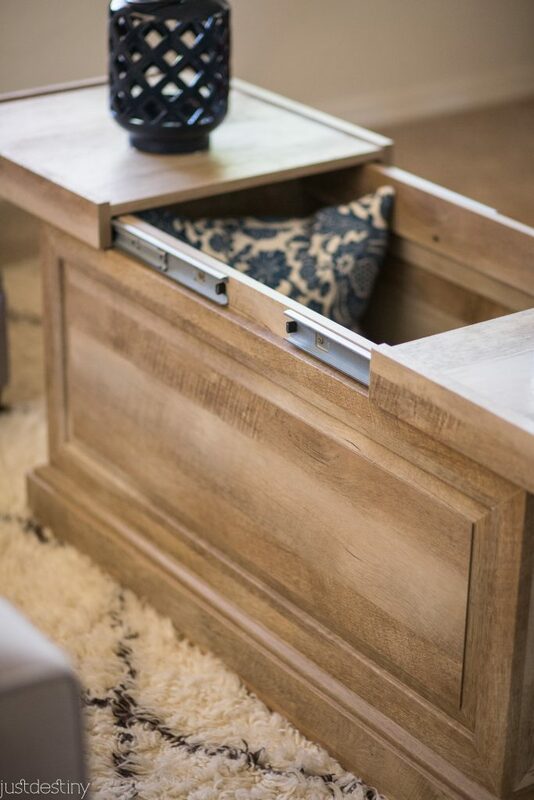 I am LOVIN’ that Crossmill Collection Coffee Table, Weathered & the way it opens!! You don’t even need to move your pretties from the top, just slide each side over, mmmmmmm, sweet! I also have the hots for the Medallion Fabric Shower Curtain in Blue!! Thanks for the giveaway!! I love the Better Homes and Gardens Bright Dotted Circles Multi Area Rug and the Better Homes and Gardens Rustic Country Wine Cabinet, Pine. So many great items to choose from! 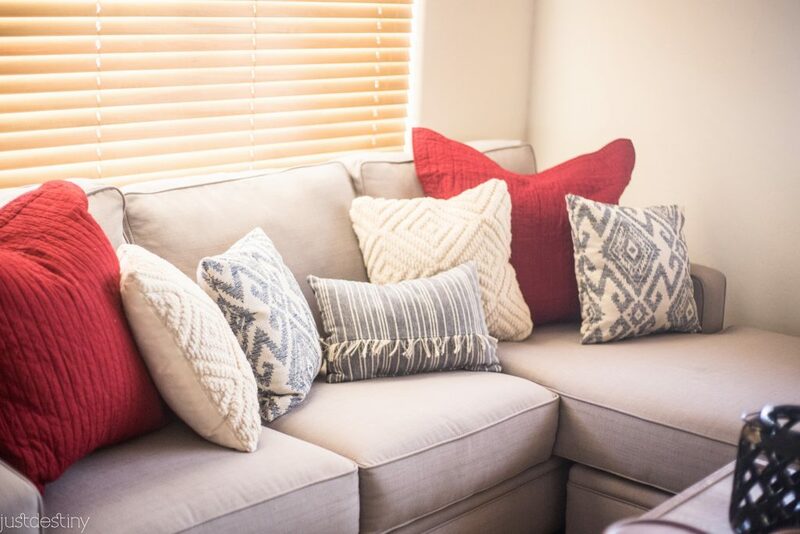 The Better Homes and Gardens Coral Sunflower Pillow is so pretty and colorful! 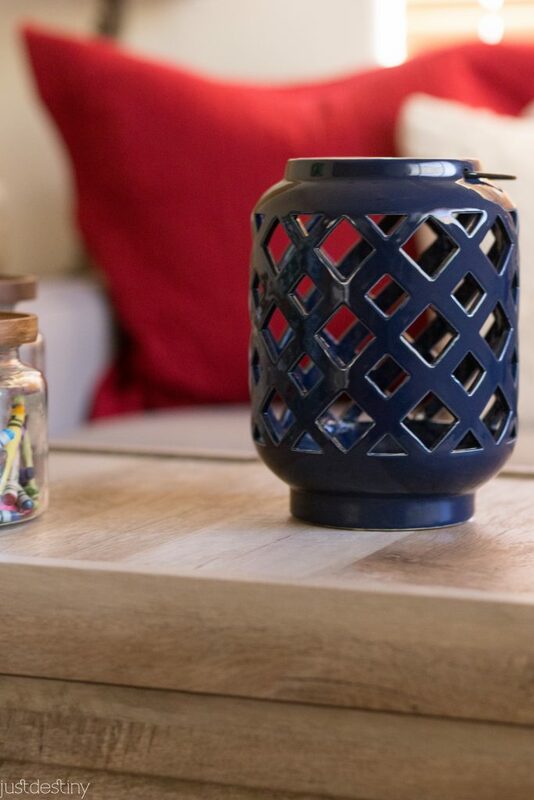 The ceramic lanterns would complete my outdoor area! I love the Better Homes and Gardens Paisley Spice Textured Print Area Rug. It is lovely. 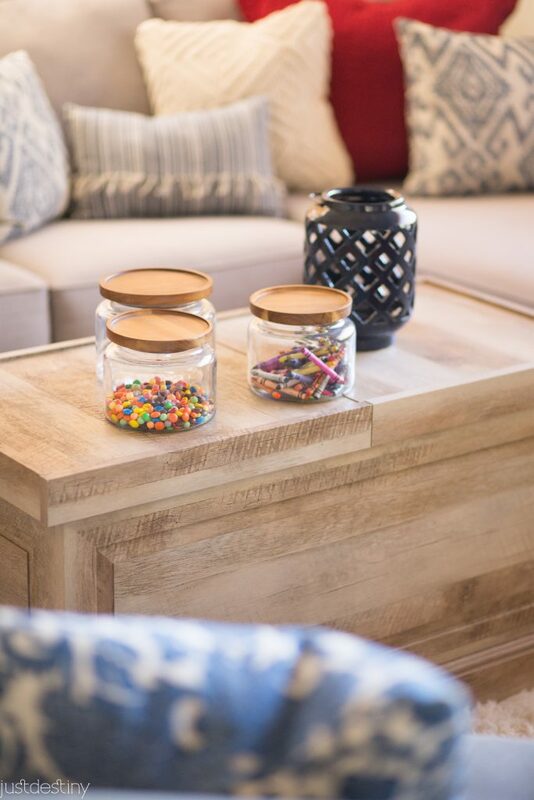 I’m loving BHG’s glass canisters with the wooden lids that you so happen to have on your coffee table. I love both the Owl Lamp Base and Owl Candle Holder! Love the colorful pillows and country wine rack. Can you tell me where you found the sofa & chair? I have a small room that all of this would look fantastic in!